Is it when you’re worn down and exhausted? Is it when you’re in fight or flight? Is it when you’re on an adrenaline high? Is it when you’re juggling so many different tasks and projects and responsibilities that you don’t know what is up anymore? Is it when you have no time whatsoever for yourself? Is it when you’ve lost sight of what it means to just have fun? It’s important to be honest. There are plenty of people who – strange as this may sound – work quite well and prefer to be in the stress zone. If this is you, you can stop reading! There truly are people who can run in high-stress gear for a very very long time, their whole life even. They do relatively well. They wouldn’t really want it any other way. And then there are those of us who perhaps learned that we are “supposed” to be able to function in that zone, but we don’t really. We drop the ball when we’re stressed. We’re anxious and don’t sleep. We stop enjoying life. We stop being creative. If this is you, then creative living and stress management go hand in hand. You can’t be creative when you’re in survival mode. You’re not at your best when you’re constantly addressing one emergency or “must do” after another. Maybe the rest of your family seems to thrive in this space, but you don’t. If this is you, it’s o.k. and it’s important to own it. It’s important to own that you need peace and quiet. It’s important to accept that you need space in your life so that creative ideas can come to you, and you have the time and energy to act on them. It’s also important to own that having that space is not a matter of finding “the right place to live” or the “right job”. Having that space depends on you creating it. How do you create space for creativity? It’s both simple, and it’s not. It’s simple in the way a master chef tells you to just bake the salmon and add the right herbs. How? How long? Which pan? Which herbs? As easy as this is in theory: “Oh sure, I’ll just stand up for myself and stop stressing myself out” there are a lot of moving parts. In addition, those moving parts are kind of mysterious at first. 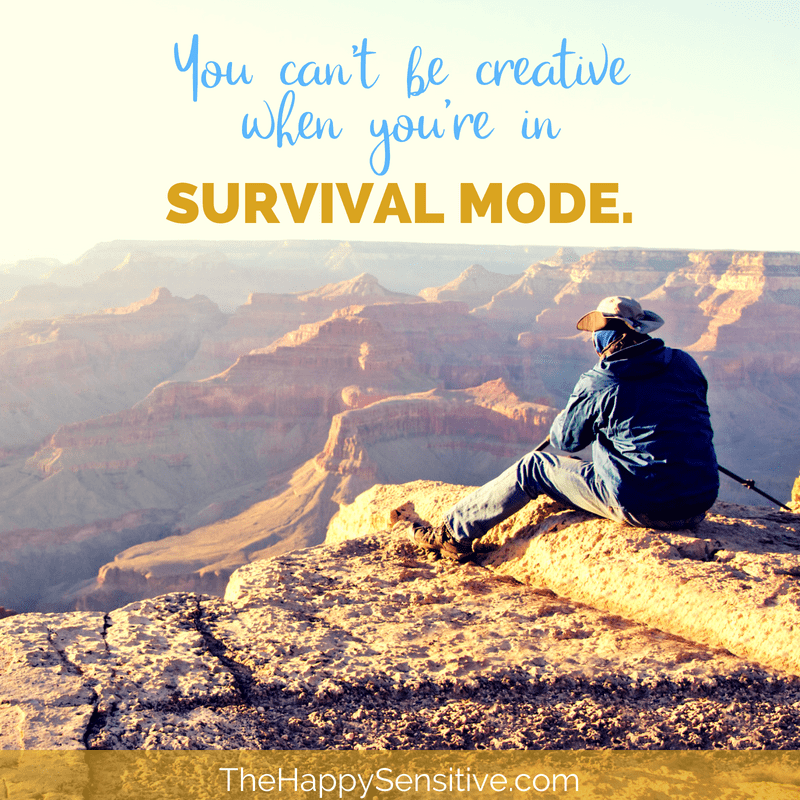 As a Highly Sensitive Person, your limits are not the same as those of most people around you. So in many ways, if you want to have less stress and more space to be yourself, you need to spend time studying yourself and discovering your true boundaries. You need to learn how to protect those boundaries. You need to know how to work through the emotional blocks that stop you from standing up for yourself. If you don’t, you can get stuck on a hamster wheel. Limits that seem reasonable to others are probably not truly reasonable for your Highly Sensitive body. Does this mean you are “delicate”? Not necessarily. You can be incredibly tough and resilient in many ways, more than most! Yet, there is something inherent to how your body is built that means you are more easily overstimulated. That means that if you don’t take charge of that stimulation, that you end up being chronically stressed. There is something about the fabric of your being that you have to accept and study and understand, otherwise you’ll keep hurting yourself and burning out. Many people can get by without really studying how or why they get stressed. They adopt the self-care rules that most other people use, and it works well enough. Yet as HSPs we have to learn how to set boundaries from the inside out. In a way, we have to start from zero. We can’t assume that we know what the right amount of something is for us, until we’ve studied this closely. This may seem incredibly unfair and a ridiculous amount of work, but it can also work to your advantage. It’s one thing to drive a car. It’s another thing to be able to take it apart and understand how it works. When you do, you can fix it, you can optimise it, you can do things with it that other people can’t. As HSPs we have an opportunity to really get to know our own body and what it can and can’t do. At first, this will probably be because your body-car keeps breaking down, even if other people tell you it “should work”. Your initial goal is just to be able to drive without breaking down. When you get to know your body and your stress signals better though, you’ll find that you can optimize your driving. You can be faster. You can be more efficient. You can get more done. You can have more fun. You know how to consistently create the space to be creative. From there your body can seem better, stronger and more capable than that of most people you know. That’s because you really know how it works. You studied your own abilities and limits so that you can truly take advantage of them. 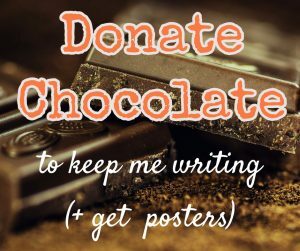 This can be a HUGE benefit. 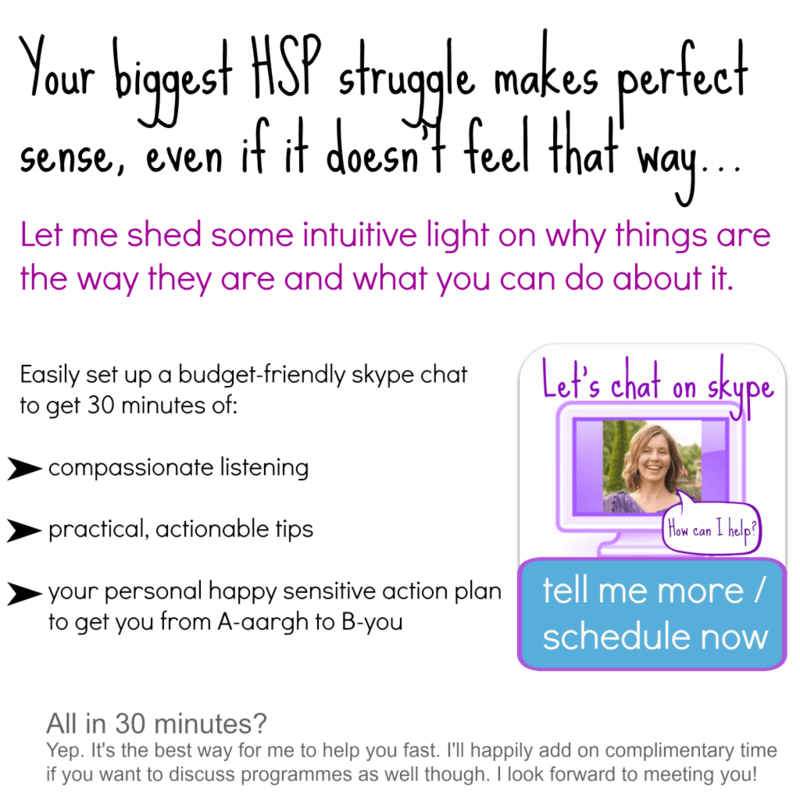 If you’re interested in learning more, I work with a few select clients on how to create your own unique boundaries from the inside out here.